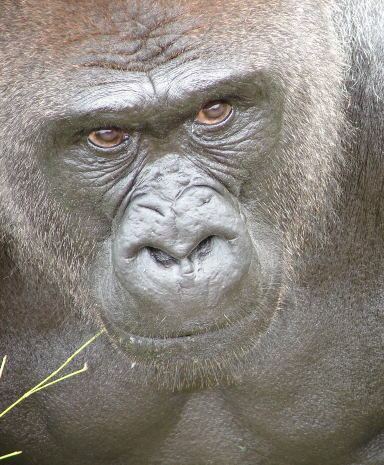 Difference between gorilla and guerrilla » Wordhelper » Editing, Writing, Resumes, and More! In the past few months, I’ve prepared several resumes for marketing professionals. When completing the questionnaire I use to gather the content for a resume, two clients wrote that they use gorilla marketing strategies. Unless they are trying to entice customers to buy apes, they are not using gorilla marketing techniques. The phrase they should have written was guerilla marketing strategies. Since there seems to be some confusion regarding the use of gorilla and guerrilla, let’s take a look at the meanings of these two words. Then I’ll give you some tricks for remembering the difference. The gorilla ate five bananas. 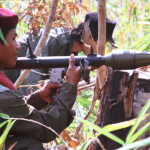 Guerrillas, in contrast, are members of small fighting groups that use surprise tactics, such as ambushes, sabotage, and raids, to combat an enemy force, usually one that is larger and more organized. Guerrilla comes from the Spanish word, guerra, meaning war. In this context, guerrilla is a noun. 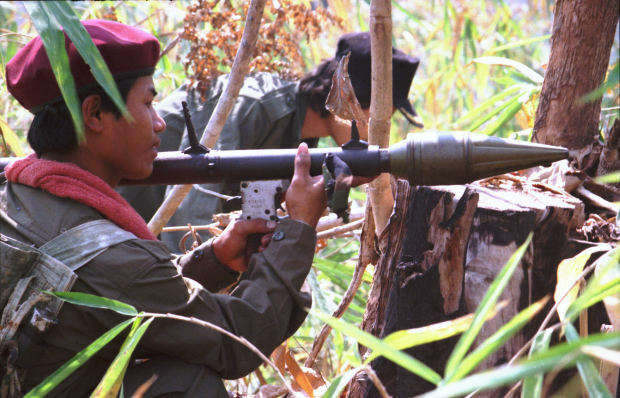 The Mujahadeen used guerrilla warfare tactics against Afghanistan’s Soviet invaders. Now that you know the difference between the two words, how can you remember it? Think of King Kong, the fictional gorilla I mentioned earlier. Notice that Kong and gorilla both have an o as their second letter. So if you’re writing the word that refers to a King Kong-like animal, use gorilla. Don’t like that trick? Try this one…with apologies to animal rights activists, remember that you can likely view a gorilla, but not a guerrilla, in a zoo. Again, gorilla and zoo have an o as their second letter, so ask yourself if you are referring to an animal that can be found in a zoo. If you are, then write gorilla. In addition, remember that gorilla is not an adjective, so if you’re describing an object, activity, or concept, use guerilla, as in guerilla marketing strategies. Finally, recall that guerilla strategies use ambushes and elements of surprise. Notice that guerilla, ambush, and surprise all have the letter u in them. Gorilla does not, so if you’re writing about techniques that involve ambushes or elements of surprise, you’re talking about guerilla strategies. Will these memory tricks help you? What methods do you rely on to remember when to use specific words? Click on “Leave a comment” below to provide your response.